You should never let your age define who your are or how old you feel. As men age, our testosterone levels diminish every year after about the age of 30. We lose some energy, we don’t have the same stamina any more, we aren’t as motivated as we used to be, and it becomes harder and harder to lose unwanted fat, especially that pesky belly fat. I know from personal experience on that. I am still trying to get rid of some belly fat at 61 years young. To help us older gents out, Hexofire Labs went to work on their latest break-out product called Delta Prime Testosterone Support. With Delta Prime, they say that getting old no longer has to be a drag on us. Let’s give it a look and see if we agree with their concept. And remember, I am very hard to convince. 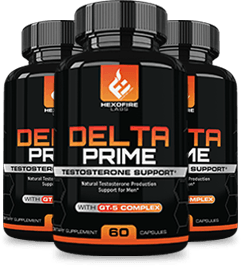 What is Delta Prime and Why is it Called Testosterone Support? As the name indicates, Delta Prime is a supplement for testosterone support or enhancement. Its job is to help your body naturally produce more testosterone. Delta Prime also includes some of the traditional libido boosting ingredients that are pretty much included in all testosterone boosters on the market now days. It includes vitamins that are also critical to testosterone production. Hexofire is a Canadian owned company, but Delta Prime is manufactured in the United States in a GMP certified facility. This is a good thing, All batches of this formula are tested for both the proper composition and quality to verify you are getting what is on the label. This stuff is designed and produced to help you feel like the man you are supposed to be. Lets see what all the benefits of this product are. CLICK HERE for my #1 recommended Testosterone Booster! What are the Proposed Benefits of Delta Prime? As with most testosterone supplements or boosters, this formula has quite a few benefits for us aging males, beyond helping us to produce more testosterone. Helps increase lean muscle mass. Increases overall energy levels throughout the day. May help with Erectile Dysfunction. Provides increased stamina in the gym. Helps reduce recovery time related to workouts. May even help with overall mood and relieve stress. These benefits are all possible with the scientifically proven ingredients in this formula. However, we need to see if the dosages of each ingredient are proper amounts to actually achieve these results. What are the Ingredients in Delta Prime? Delta Prime is composed of all natural ingredients, including vitamins and herbs that are known to aid in testosterone production, or at least make us believe our testosterone is increased, based on the benefits we achieve. Vitamin D3 – Vitamin D3 is a hormone our bodies produce after we have spent time in the sun. If you can get 15 – 20 minutes a day in the sun, your Vitamin D will be good to go. However, most people can’t get in the sun for various reasons. Some people work inside an office all day, and some just don’t like the sun. For me, I am light skinned, so I burn easily. I stay out just long enough for my skin to become a little pink and I know I am good. Whatever the reason, you can always supplement yourself with a Vitamin D3 supplement. 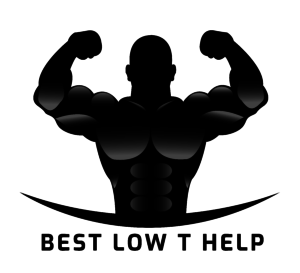 For increasing testosterone, it is recommended that you take between 3000 and 5000 IUs every day. This formula has a much lower dose at 1000 IUs than you need, so it isn’t going to help a lot. Zinc – Zinc is a mineral that is needed for us to produce adequate testosterone levels. This formula includes Zinc Gluconate, which is a very easily absorbed type of Zinc. Zinc doesn’t just boost your testosterone, but also controls testosterone synthesis and its subsequent release. Zinc also protects against testosterone decreasing after you workout. The amount of Zinc in this formula is a proper amount to get the benefits of Zinc. Saw Palmetto – First of all, this ingredient does not increase your testosterone. It is typically used to treat issues of an enlarged prostrate. It also has many other treatment capabilities, such as: increases low sperm count, helps with libido, helps lower blood sugar, reduces some inflammation and is know to help with migraines. Stinging Nettle – A substance found in stinging nettle can block SHBG, which is a protein that attaches itself to the testosterone hormone. When that happens, we have less free testosterone. There is plenty of evidence that links stinging nettle root to increased prostate health and urinary health. This is obviously important for your sexual health but is also vital for your overall health and well being. GT-5 Proprietary Blend – This includes some good stuff, but we have no clue what amount each ingredient is. The ingredients in this special blend are: Epimedium, Tongkat Ali, and Trubulus Terrestris. These are awesome testosterone boosting ingredients and libido boosting ingredients, if we only knew how much of each there is. But, we don’t so there is no guarantee we will get the promised results in this blend. CLICK HERE for the Best Testosterone Booster for All MEN! The short answer is no. This is an all natural formula that is safe to use for all males over 18. Remember it is produced in a certified GMP facility and checked for quantity and quality. It does not have any additives or chemicals to be concerned about. Does Delta Prime Work or Not? Well, that is the million dollar question! I have found reviews, both good and bad. Some say it does nothing and others say it is the best testosterone booster they have ever used. So, I guess the jury is still out for me. The ingredients are a little short, in my humble opinion. And then there is that GT-5 Proprietary formula that has good ingredients, but we don’t know how much of each. That is always the issue with proprietary blends. Why didn’t they disclose them? That is a problem for me. My other issue with this Testosterone Support product, is the price. It is very expensive compared to most testosterone boosters. I cannot in good conscience recommend Delta Prime to my readers. Too little for too much cash. Instead, I highly recommend any of my top ten which you can check out by CLICKING HERE. Checkout the top rated Testosterone Boosters on Amazon RIGHT HERE. My son has very low T naturally, as his body does not produce it. He has to get a prescription testosterone gel that he uses daily. That being said, I am wondering if this product or something similar would work as good as the prescription? It is very expensive, so it would be nice if we could stop the use of it, in hopes of using something off the shelf and not as expensive. Prescription testosterone is sometimes medically necessary. Sounds like in your son’s case, if his body will not produce testosterone on its own, then that may be his only option. If he was able to produce some testosterone, boosters or supplements would help him produce more. Delta Prime as a supplement for testosterone support or enhancement for the senior citizen is a good innovation to bring back that youthful feel in the elderly men. 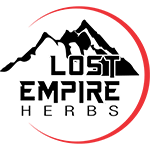 A product like this that can help to increase strength and stamina will be very useful for the elderly men who at age 61 may have started loosing vigor. 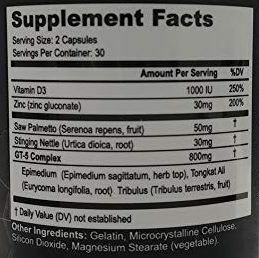 The ingredients contained in this Delta Prime are commendable as they actually measure up to the standard requirement in every good supplement. I shall recommend this to my friends. Thank you for a good job..